We're currently on a cross country road trip from New Hampshire to Oregon and posting about sites along the way. This post is about a stop in Elko, NV. 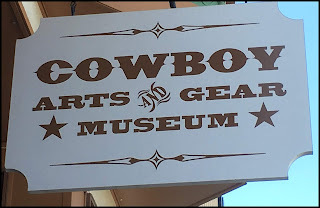 The Cowboy Arts & Gear Museum opened in downtown Elko, NV in 2018 to showcase traditions and culture of cowboys of the American West. It's housed in the former shop of leather and silver craftsman, G.S. 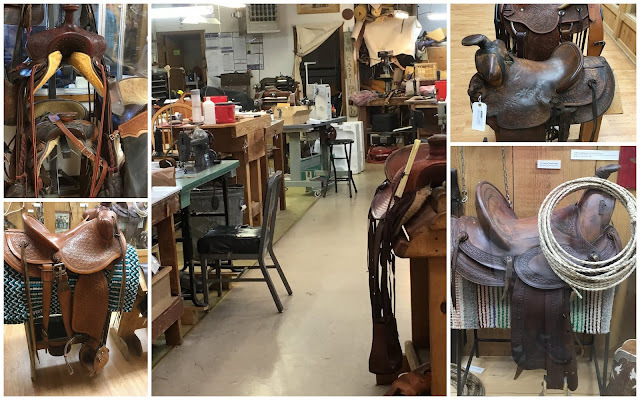 Garcia whose leather and silver work is prized and collectible western memorabilia. Guadalupe S. (G.S.) Garcia is considered the most notable silversmith, saddle maker, engraver and leather craftsman in the American West. 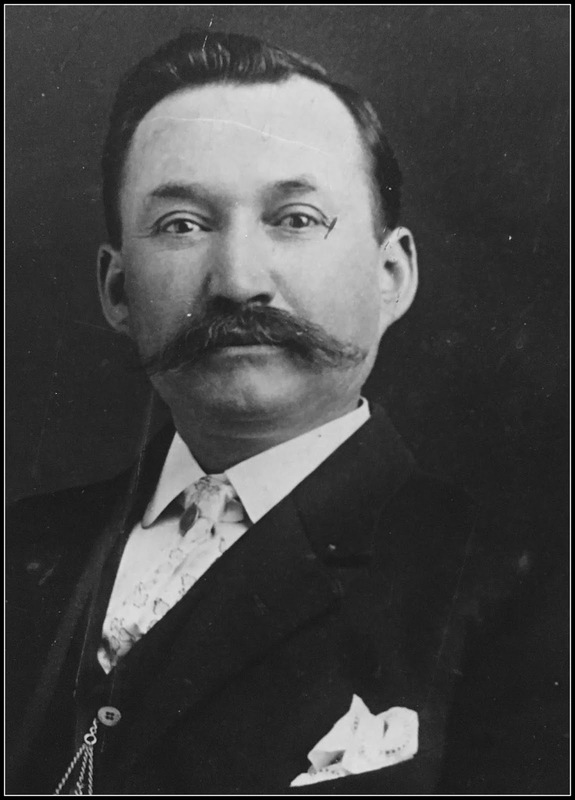 Born in Mexico in 1864, his family moved to California and by 1880, he apprenticed at the Arana Saddle Shop in San Luis Obispo, CA, which was then regarded as one of the finest in the west. 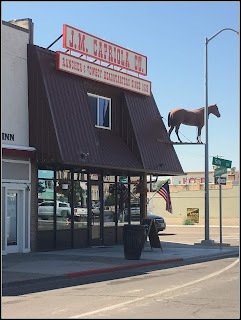 Garcia moved from California to Elko, NV with his saddle-making tools and opened the G.S. 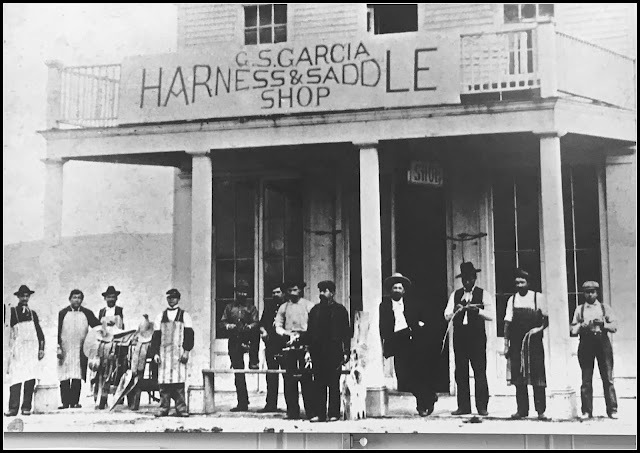 Garcia Harness Shop. In 1907, he moved into the building that now houses the museum. 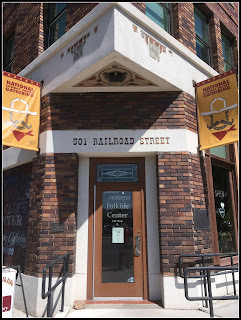 Elko was a town on the Union Pacific railroad and soon became a business and social center. Garcia’s quality work became sought after by cowboys throughout northern NV. Within three years, he produced a mail-order catalog that expanded his customer base across the West and other U.S. states. Garcia became famous for creating the only saddle in history to win two gold medals. In 1904, he entered a saddle decorated with precious gems and intricate silver work at the St. Louis World’s Fair. The same saddle won a second gold medalAt the 1905 Lewis and Clark Centennial Exposition in Portland, OR. The wins brought more attention to his products which become highly valued. “Cowboys were willing to pay two year’s wages and to wait their turn on a two-year waiting list to purchase and own one of Garcia’s saddles,” according to the museum’s website. Garcia died in 1933. His two sons continued the popular leather business until1935, when they relocated the family business back to CA. The two story wooden frame building was purchased in the 1930s by the Elko Lamoille Power Company. For the next 77 years, it served as the business and operations offices of the utility company later renamed NV Energy. In early 2016, NV Energy relocated to a more modern facility. 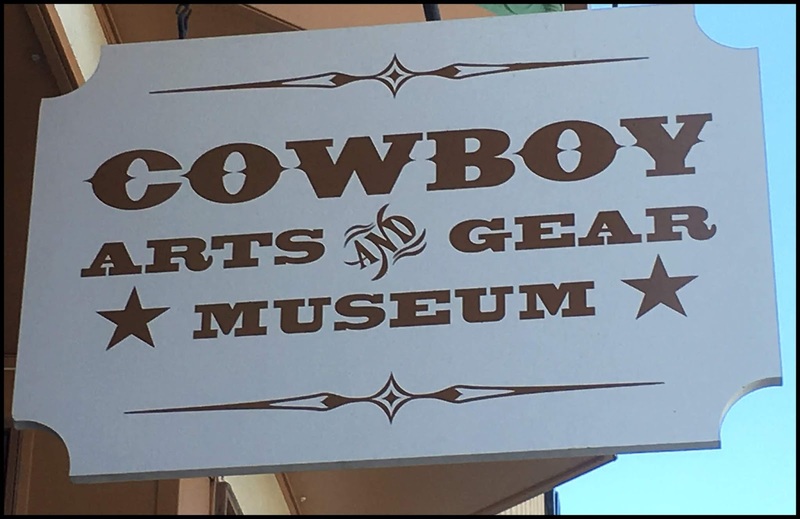 The former Garcia Shop became available was purchased as a non-profit organization, The Cowboy Arts & Gear Museum. Founded in 1980, the Western Folklife Center is housed in the historic Pioneer Building in downtown Elko, NV,. The center is a local and a regional non-profit cultural center with an exhibition gallery, 300-seat theater, historic saloon and gift shop and is dedicated to preserving the rich culture and spirit of the American West. The Pioneer Building was one of Elko’s oldest saloons. It opened in 1913 at a cost of $50,000. 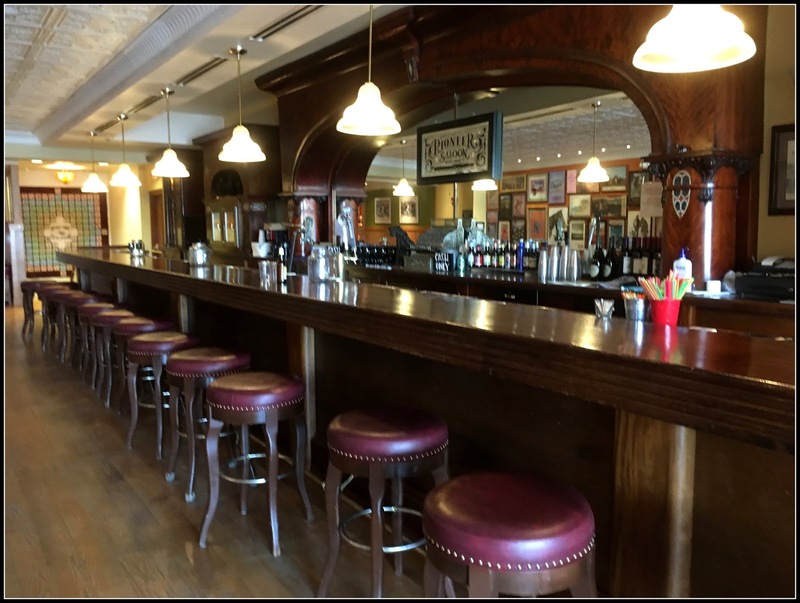 The saloon featured tiled floors, metal ceilings, mahogany furniture, and a mirrored-back bar. Upper floors were later converted to a hotel. Remodeling in 1981 closed the saloon for the first time in 112 years. In 1992, the building was purchased by the Western Folklife Center which sponsors the annual National Cowboy Poetry Reading. 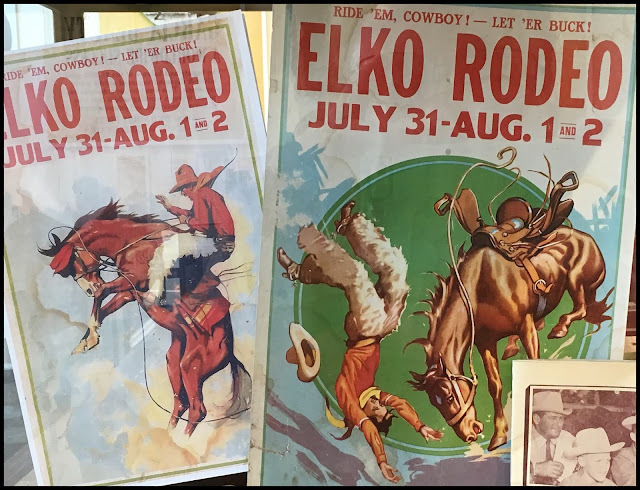 Formerly called the Elko Gathering, the event was a way for Western ranchers and cowboys to gather to share poems about their lives working cattle. It's now a week-long celebration of life in the rural West, featuring contemporary and traditional arts rooted and focused on today’s rural West. The event takes place during the last week in January. The real thing for cowboys was how a New York Times article once described the J.M. 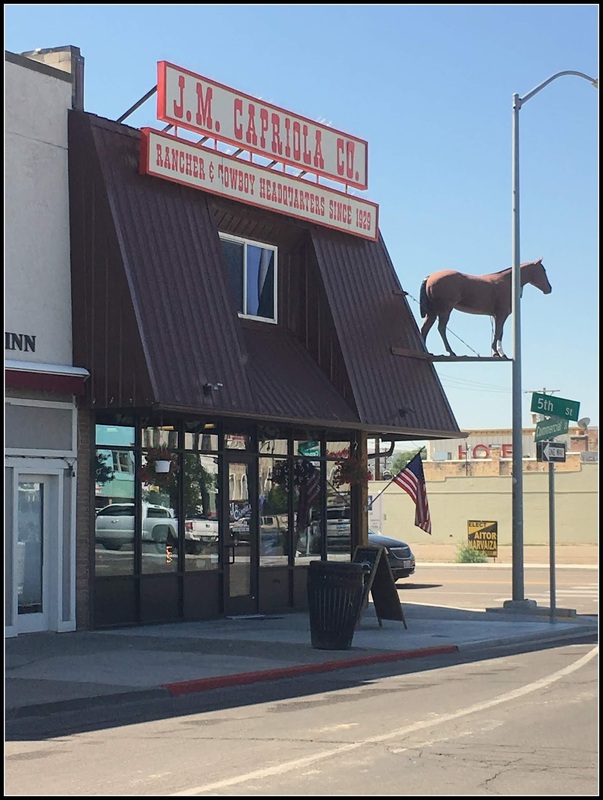 Capriola Company in Elko, NV. The store attracts just as many "city slickers" as cowboys. 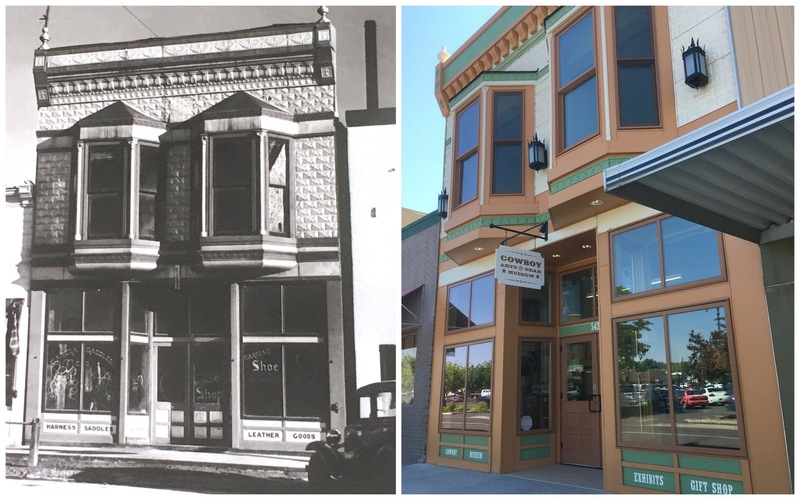 The two-story shop was opened by and is named after Joe M. Cabriola, one of Garcia’s apprentices. 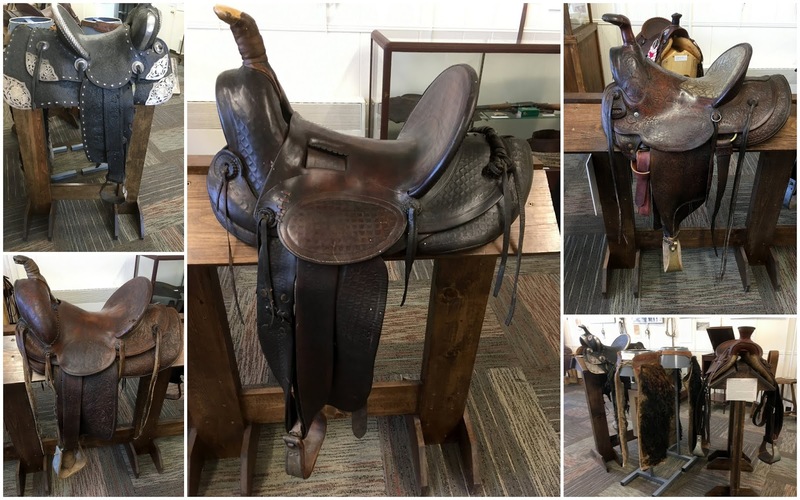 t quickly became known for its inventory of authentic Western gear, including hand-crafted saddles. The store caries gear to outfit working riders with displays of silver bits, spurs, ropes, clothing, hats, boots and more. Its leather products from custom-made saddles to belts and wallets are made in-house. Each Capriola saddle is stamped with a unique number which is logged with details of the saddle, including the maker and buyer. If a saddle changes hands that number always provides its history. 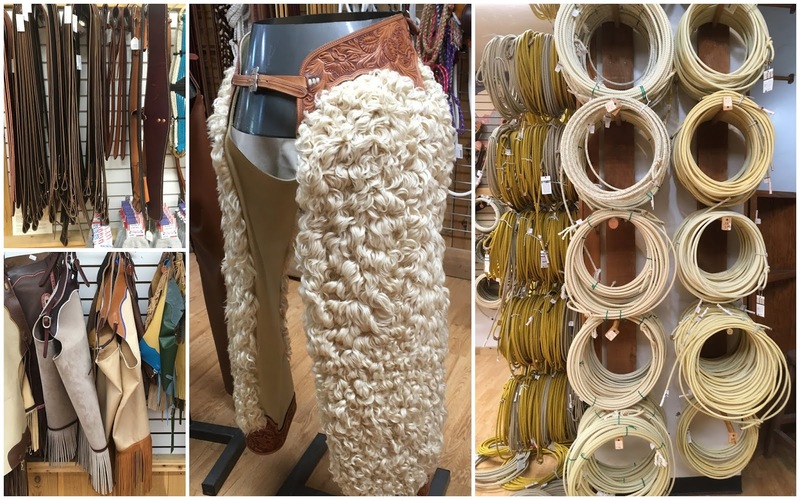 If you're ever looking for western gear, then definitely make Elko, NV a destination. I'd like to see one of G.S. Garcia's saddles - and I'd love to read some of those cowboy poems! Fascinating stuff here both in history and photos. I have thoroughly enjoyed traveling with you. Thank you so much! You have definitely come across some interesting things in your travels, and these are surely some of them. Quite an unusual place. I'd also be interested in reading some of the cowboy poems. The award winning saddle is the deepest one I ever saw. 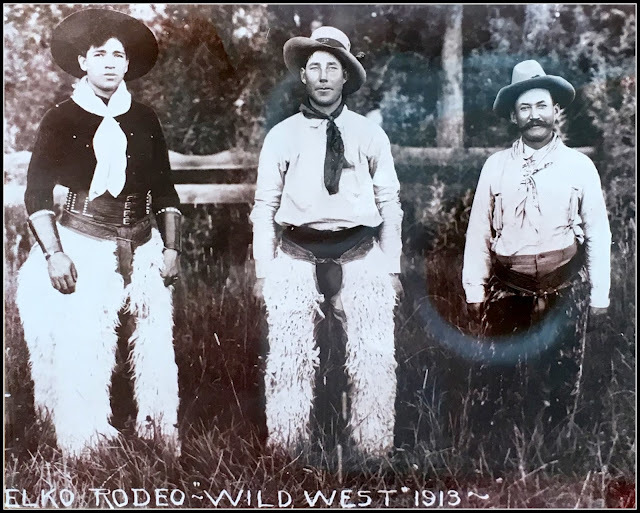 The wooly chaps are also interesting. I'd have a good time here. That award winning saddle is something else! Impressive! Such impressive saddles, that would be a joy to see but I would really LOVE to hear some of those poems, sitting around a campfire. Those are very impressive saddles! Glad you enjoyed your visit here to Elko! Just wanted to let you know that it's the National Cowboy Poetry Gathering, not the Reading, and that if anyone wants to see some of the performances, you can do that on our YouTube Channel - https://www.youtube.com/user/westernfolklife. Thanks for stopping by!